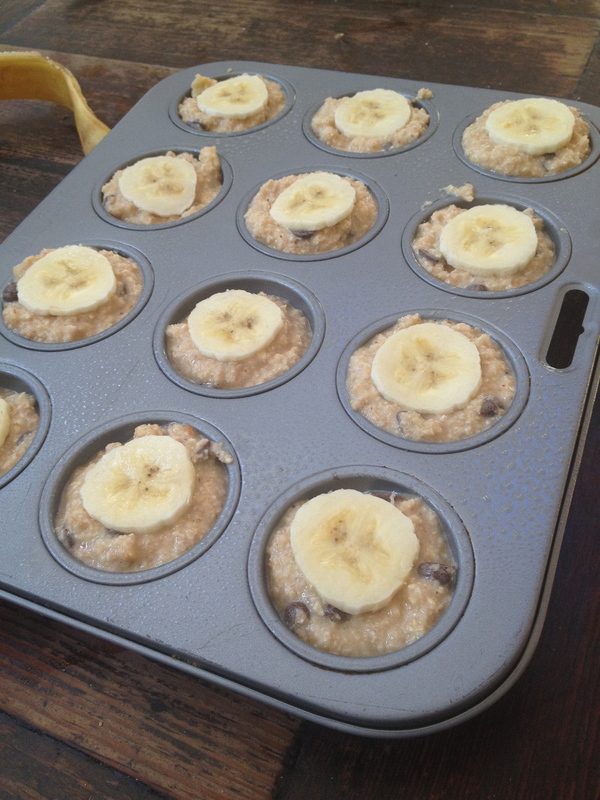 I’ve had a lot of time on me lately so I wanted to concoct a delicious healthy breakfast and snacking muffin. 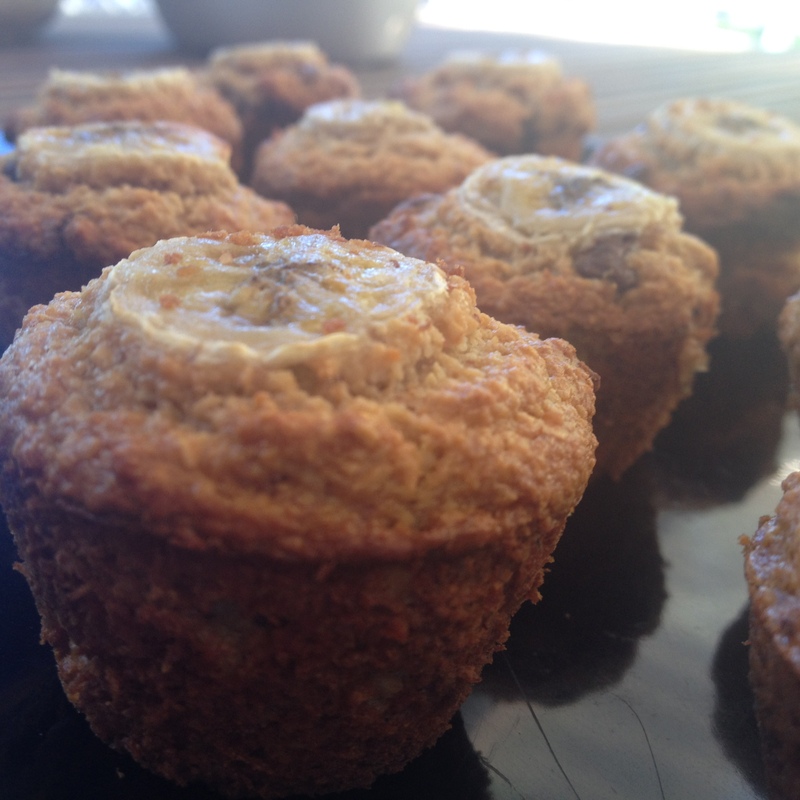 I threw together some nutritious and delicious ingredients to come up with these mini delights! 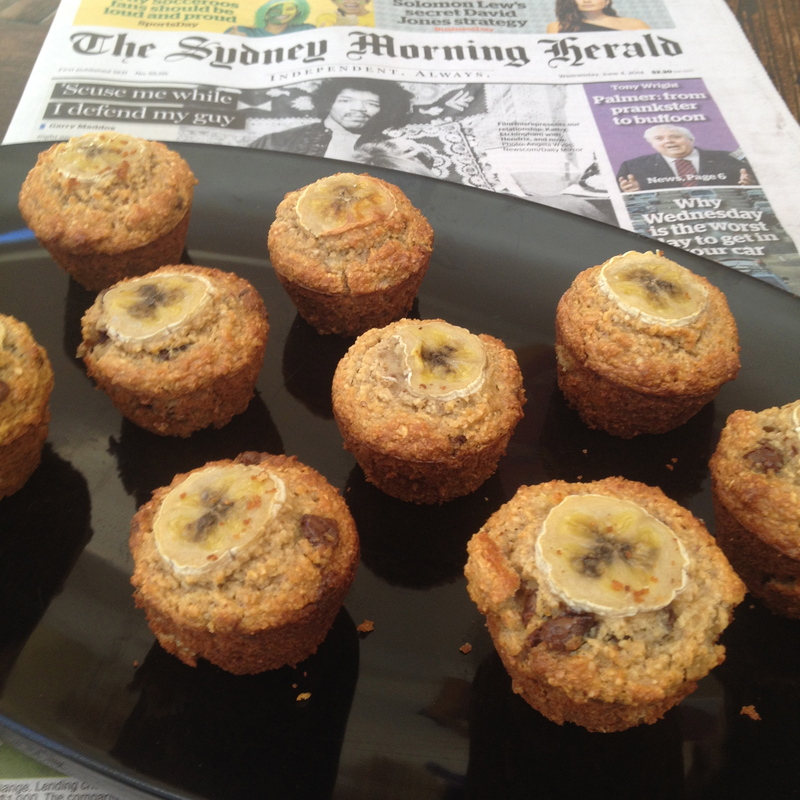 They are so yummy that I’ve made a batch each day this week and they’ve been all gobbled down by the fam. I’ve also been doubling the batter as a pancake and it’s just as delish as these muffs! 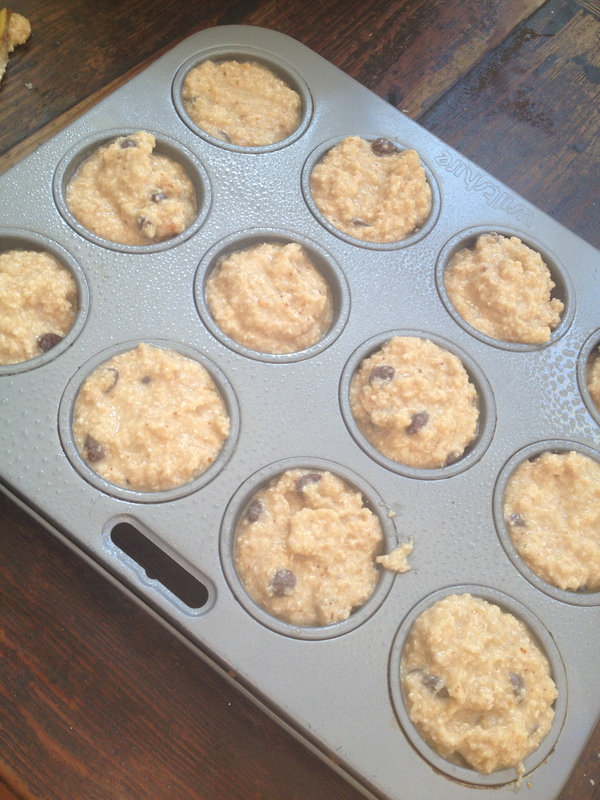 To start grease a mini muffin tray, then set aside. Don’t forget to preheat the oven to 190 degree. 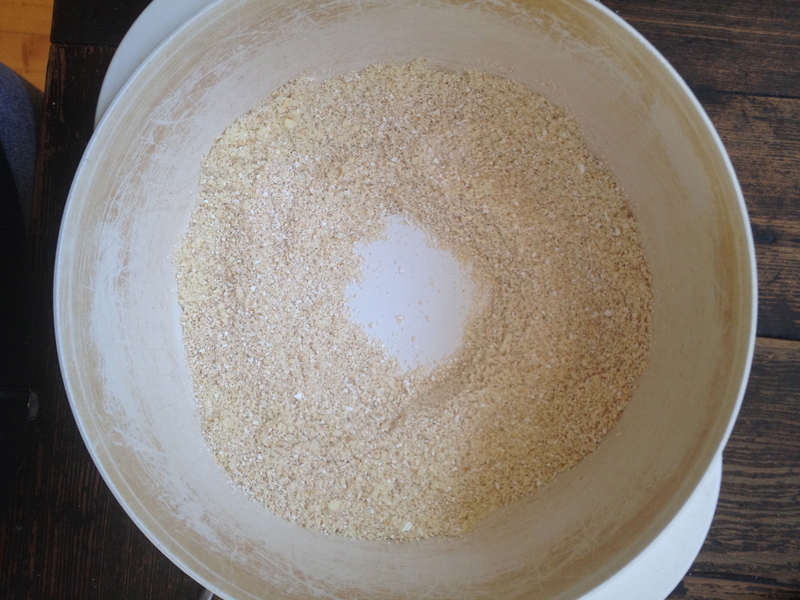 Then its time to make a start on the dry ingredients. 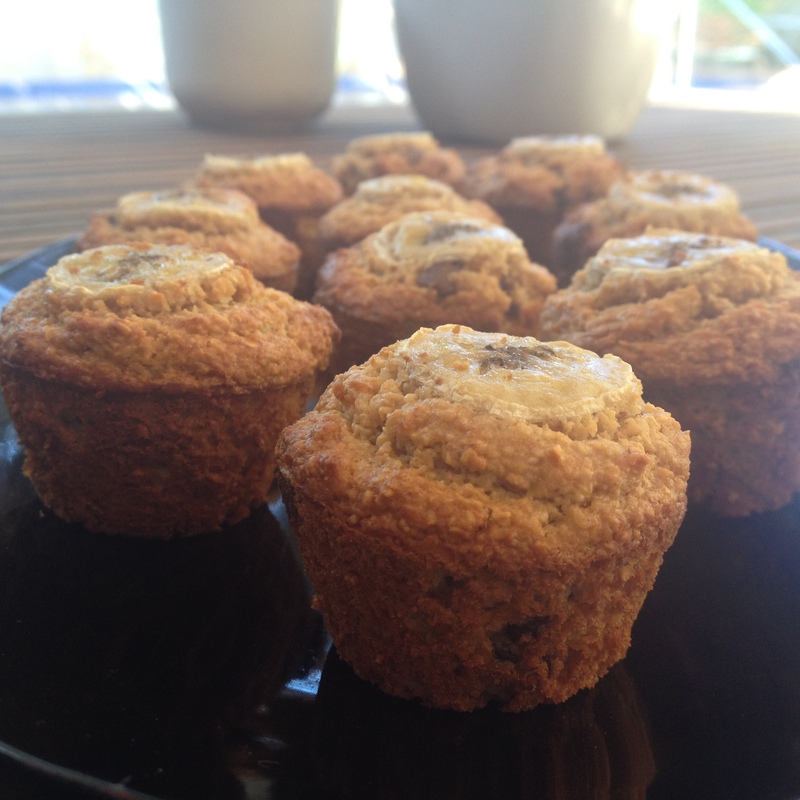 Mix together the almond meal, oat bran, baking powder and cinnamon. 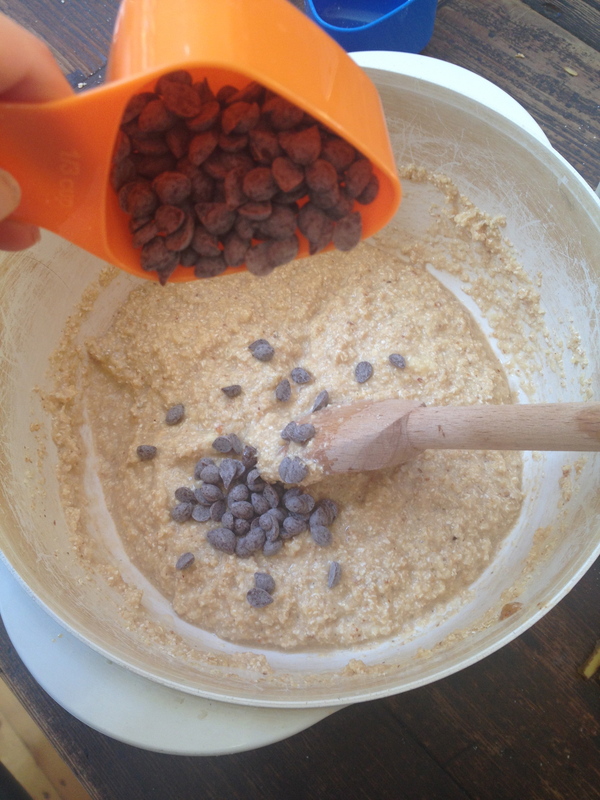 Then make a well in the middle of the bowl and set aside. Now for the wet ingredients: Melt the almond butter and the honey in the microwave for 20 seconds. Mash half a banana and combine with a lightly beaten egg and the vanilla essence. Also mix the cup of milk with the bicarb soda. 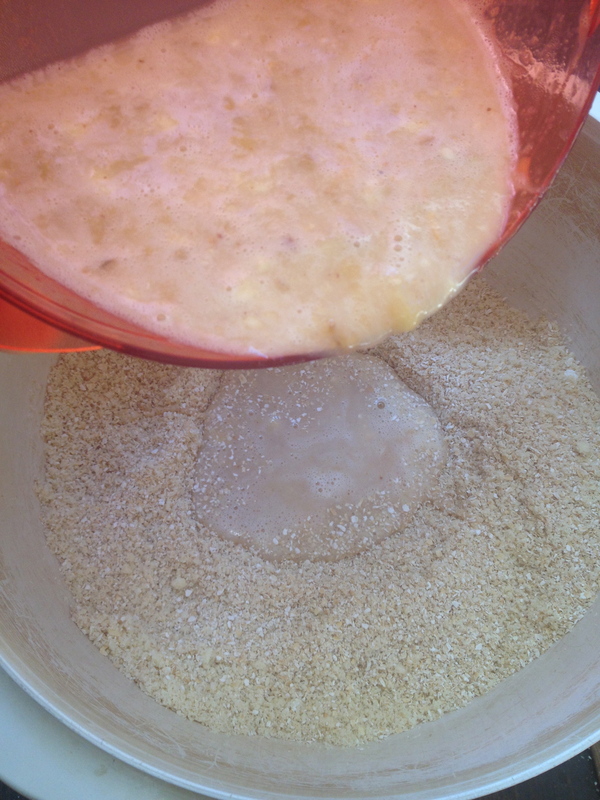 Then pour the wet ingredients into the well of the dry ingredients. Mix well. 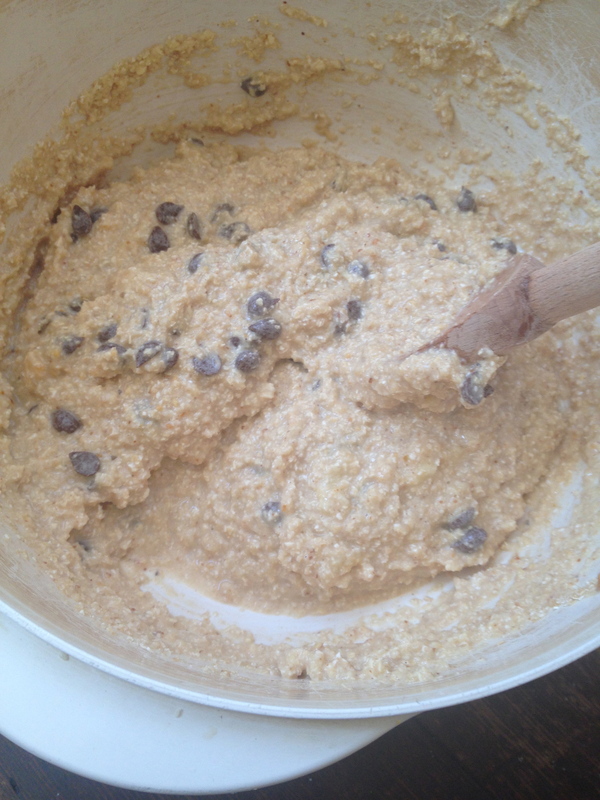 Finally add the chocolate chips and stir together. 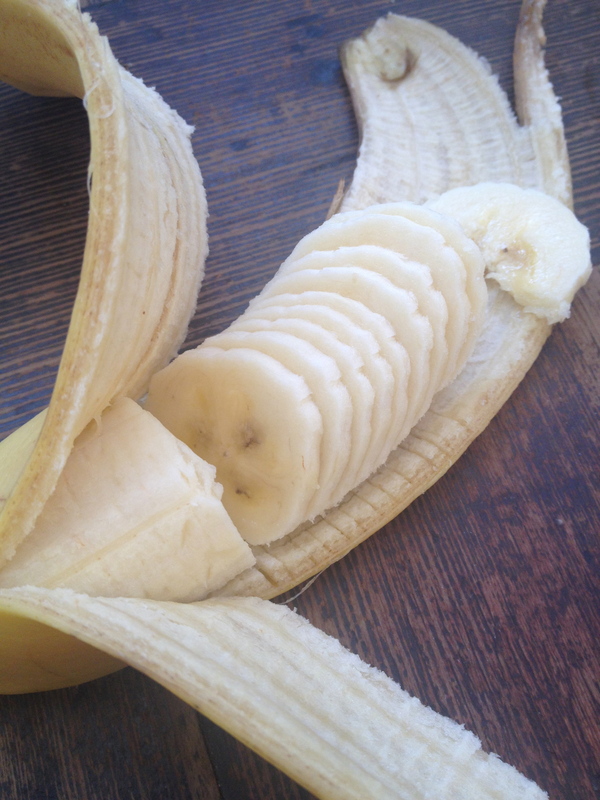 Now pour a table spoon of the mixture into each muffin mould and then slice the other half of the banana, placing one slice on top of each muffin. 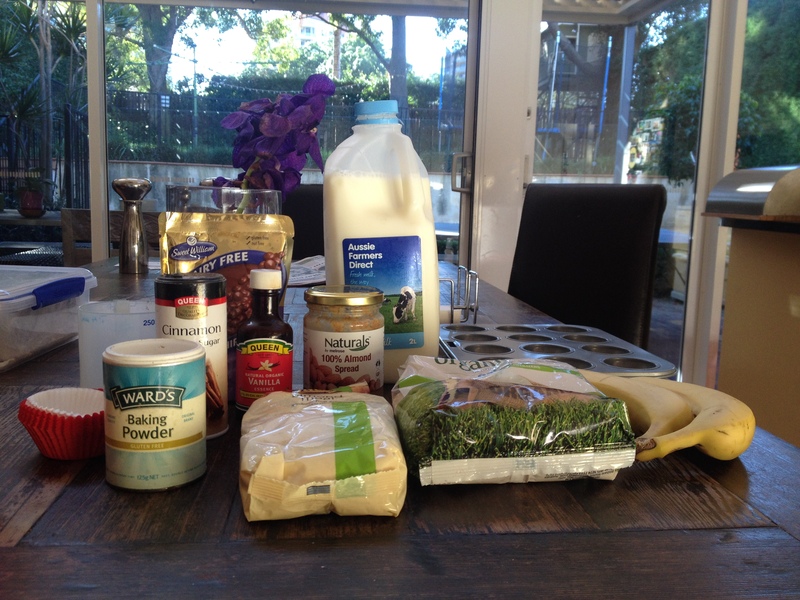 Oh and feel free to use any left over mixture for pancakes! Finally place the muffins in the oven for 20 minutes or until baked well.